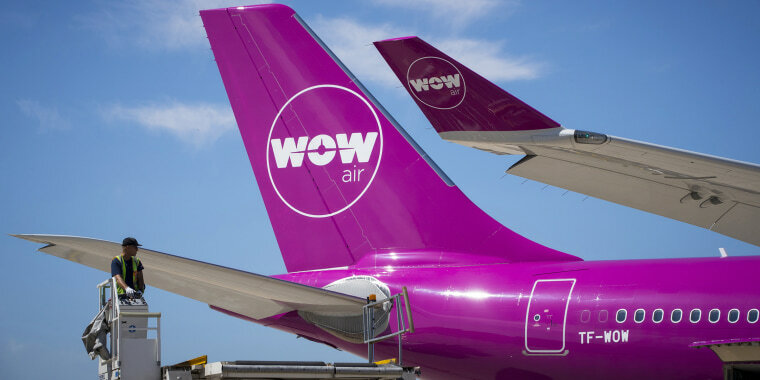 Iceland budget carrier Wow Air announced Thursday it had ceased operations, abruptly canceling all flights and leaving its passengers stranded around the world. Any customer who made a reservation by credit card should try to call their credit card company to see if they can receive a refund. Anyone who purchased travel insurance should try to make a claim; “however, such compensation is often limited,” the airline said in a travel alert posted online. In an interview with Icelandic state broadcaster RUV, Wow Air CEO and founder Skuli Mogensen said about 1,000 passengers were affected by the grounding, but he didn’t have an exact number. He also expressed disappointment in not being able to honor the airline’s commitment to those customers. Last year, Icelandair Group announced an agreement to purchase Wow Air, but the deal fell apart in November. Additional attempts to broker the deal evaporated Sunday. Stranded passengers took to Twitter to express their frustrations. They tagged the airline and other carriers in hopes to reach home or other destinations. Others posted tweets about the way they were notified by Wow Air and how the news was handled. Wow Air launched in 2011, and its first flights took off in 2012. Mogensen said roughly 1,000 employees will lose their jobs.